Guess who is responsible for reviving the word ‘mixologist’? I frowned as my editor griped about the sanctimonious self-regard of a class of workers once regarded as anonymous service minions (his words), then suggested I do a story on this outrageous barroom development. For a person whose alcohol tastebuds aren’t refined enough to detect the difference between Cointreau and Grand Marnier, the term slung about by high-minded marketers seems like just another way to suggest 1) intimidating cocktail menus and 2) staggering prices. Type “mixologist” into your laptop and you’ll see that red squiggly snake beneath it, suggesting that the word doesn’t even officially exist. My initial attempt to get to the bottom of the mixologist/bartender question only confuses things further. At the Mandarin Oriental Landmark Hong Kong’s annual Masters of Mixology event, I speak with three talented international bartenders. 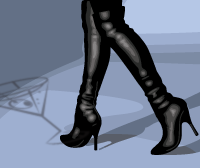 Despite the name of the event they’re a part of, each dismisses the term mixologist like it’s stale beer. “I feel very strongly to refer to myself as a bartender,” says New Yorker Natasha David. From dive bars to nightclubs to high-end bars, David has been pouring drinks for 11 years. In addition to helming Nitecap in New York, she runs a cocktail consulting business, crafting creative cocktail menus for bars. “I don’t think mixologist is a bad term and it does say something nice about creating recipes, but it’s more important, relatively, to be welcoming and fun with your guests than to be technically perfect,” she tells me. 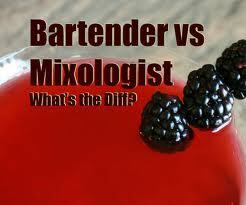 In Asia, experienced bartenders tend to consider “mixologist” a gimmicky title employed by green bartenders. “In Korea, bartenders are the ones who make tasty cocktails while mixologists make beautiful ones,” says Dohwan Eom, owner of Le Chamber in Seoul. Eom was the Diageo World Class Bartender of the Year Runner-up for 2010 for his work at the Ritz Bar at the Ritz-Carlton, Seoul; he’s known for infusing food ingredients into his cocktails. “Bartender trumps mixologist,” he insists. “Younger bartenders like to call themselves mixologists nowadays, trying to make their work sound magical,” adds Takumi Watanabe, a 20-year veteran of the trade, award-winning bartender at the elegant Sailing Bar in Nara, Japan, and considered one of the top bartenders in the country.